Police closed down the entire northbound section of Interstate 95 after a car crash between Northwest 125th Street and Northwest 135th Street took place. The road was closed down for more than four hours. As a result of the accident, five people were rushed to the hospital and one 11-year-old boy, Jean Ali Joshua Lindor, died as a result of his injuries. Police reports indicate that the accident involved a Mack truck and a Nissan Altima. The accident took place at about 8:00 in the morning. According to Trooper Joe Sanchez who serves as a spokesperson for the Florida Highway patrol, all of the occupants of the Nissan were transported to Jackson Memorial Hospital’s Ryder Trauma Center where young Lindor was pronounced dead. The other occupants of the car were hospitalized, with three being listed in critical condition. According to Sanchez, everyone who was in the Nissan at the time of the accident was wearing their seat belt. The Mack Truck was driven by Roberto Sanson who is a 49-year-old Myrtle Beach resident. He was not injured during the accident. No word has been released as to whether or not either driver was under the influence of anything at the time of their accident. 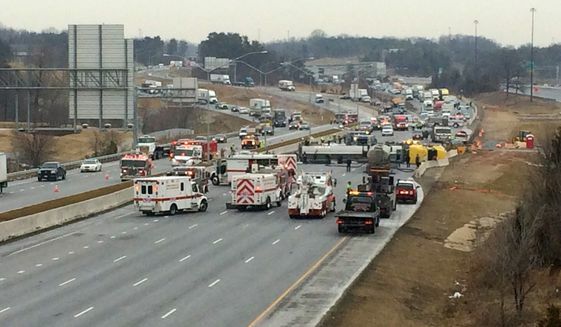 It was nearly 12:45 p.m. before I95’s northbound lanes were once again opened for traffic. Sanchez reports that the reason for the long delay stems from the severe nature of the crash and the amount of time it took for the cleanup crews to remove the damaged vehicles and broken glass from the road. At this point it’s apparent that the crash resulted in the wrongful death of a little boy who should have lived a long and full life. What isn’t yet clear is whether or not the family of young Lindor will have the grounds needed to pursue a wrongful death case in civil court. Until more details about the accident, including who is at fault and whether anything could have been done to prevent it, it’s impossible to determine whether a civil lawsuit can be pursued. If it turns out that the driver of the Mack truck was negligent in some way, or the Florida Highway Patrol failed to keep that section of the road in good condition, or if something could have been done that would have prevented the accident from happening at all, not only will not only be able to pursue a wrongful death lawsuit, but each member of the family who was injured in the car will also be able to seek a settlement that will help cover the cost of their pain and suffering, medical expenses, and lost property. 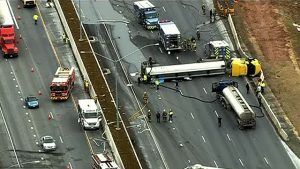 “My heart goes out to the victims who were caught in this terrible accident,” said Attorney Joe and Martin of Philadelphia’s top personal injury firm. “No one should ever have to face losing a child that young in such a heartbreaking manner. I urge the family to seek legal assistance as soon as possible while the memory of witnesses is still clear.” For more information regarding this kind of fatal situation please contact your lawyer or read more at USA ministry of justice website.